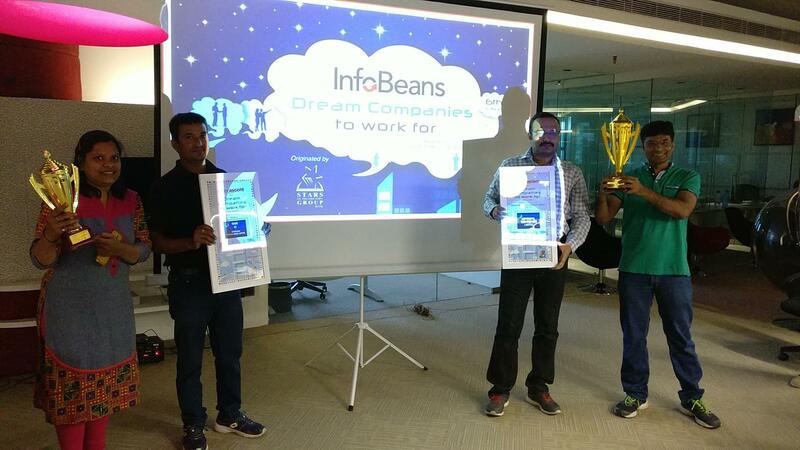 After being conferred as a great place to work for two consecutive years, InfoBeans is glad to share another achievement to be recognized as “Dream Companies To Work For” at the silver jubilee ceremony of World HRD Congress. 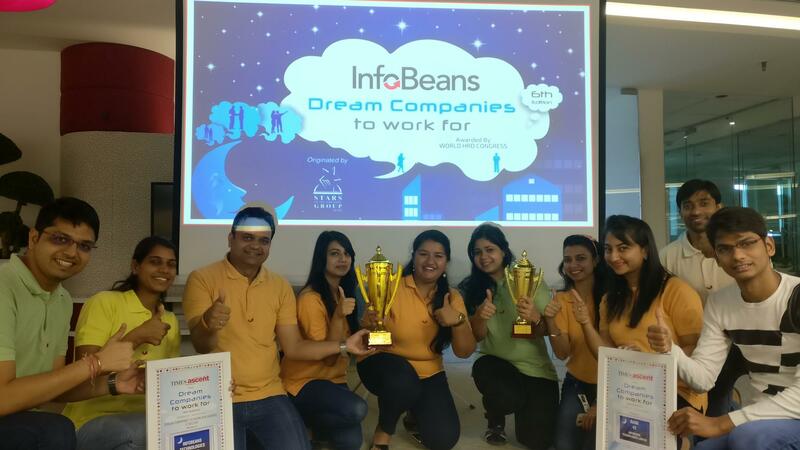 InfoBeans participated in a rigorous selection procedure competing with 750 Global organizations across various industries and is honored with as “Dream Companies To Work For 2017” in IT Sector and ranked 42nd on the list. The World HRD Congress Awards, held at Taj Lands End, Mumbai, on February 16, 2017, celebrated its silver jubilee ceremony this year, which recognizes the efforts of organizations demonstrating excellence through their innovative programs and showing measurable business results to drive organizational excellence. All nominations go through a rigorous four step process from receiving the entries to the final rankings.At first step, the evaluation is done by academic councils who accepts or reject the entries. In the second phase, the entries pass through a thorough evaluation by the executive council.The committee members are from HR Fraternity and senior leaders in the industry. In the next step, the shortlisted companies have to submit detailed culture and best practices report. The last step involves a detailed discussion with the HR to understand the implementation of various existing practices. After detailed discussion and analysis, the results are collated using OGPA(Overall Grade on Point Average) followed by the announcement of results. Company’s initiatives of open door policy, people development programs, vibrant and dynamic workplace are driven by founder’s passion for creating a culture where every team member feels valued. 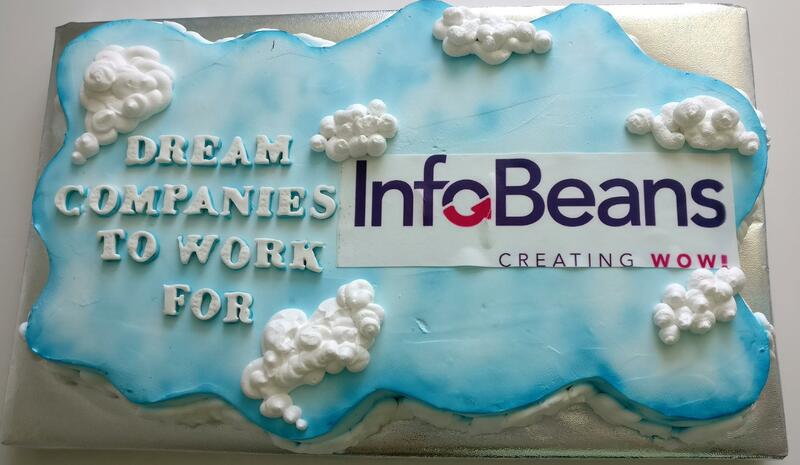 The advancement opportunities and challenging careers enable our people to unleash their potential which contribute to the InfoBeans success story.